[T]he final day of Axpona 2013 allowed those of use who wanted to listen to the rooms some actual breathing space. Unfortunately, there were still so many rooms to hear that it was nearly impossible to give a good listen to each. Here are some of the highlights of our third day. Starting with Von Schweikert’s ultra high end system. Where to even start? The sound from this system was quite fantastic and in ‘show’ setup conditions. We overheard several attendees in the other rooms and elevators telling others to make sure they go hear the Von Schweikert room. You can’t get a better endorsement than that. We heard a smooth mid-range that was fleshy and textured, a quick top end, lively and dynamic. Soundstaging was very good; spacing and size of instrument and singer seemed spot on. One interesting thing to note: The amps in the system cost considerably less than the speakers and other electronics. Very interesting, and if it showed, it was probably in the somewhat slow bass. But who can really say when in ‘show’ condition you will only hear 60-70% of what a system can do at best versus when it was in a proper room. Jim Salk and Frank Van Alstine teamed up again, presenting sure fire quality and sound. The white Salk SongTower speakers were inspired by a purchaser who works at Google. Since their creation Jim said he has had many more requests. The real gems in the room were the Soundscape 8 speakers. Jim wanted to see how cost effective he could be and still create the same quality of sound as the Soundscape 12 speakers which are nearly twice the price. The sound from this room was smooth, the bass thumped with authority, and the mid-range and top end was open and clear. I think this is one of the best sounding demos I’ve heard from Salk and AVA at a show. 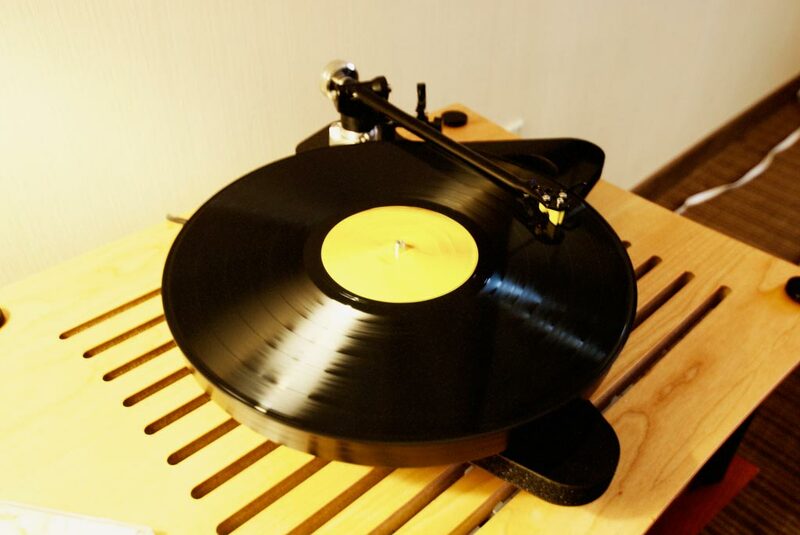 Rega choose to show a relatively inexpensive system at the show. 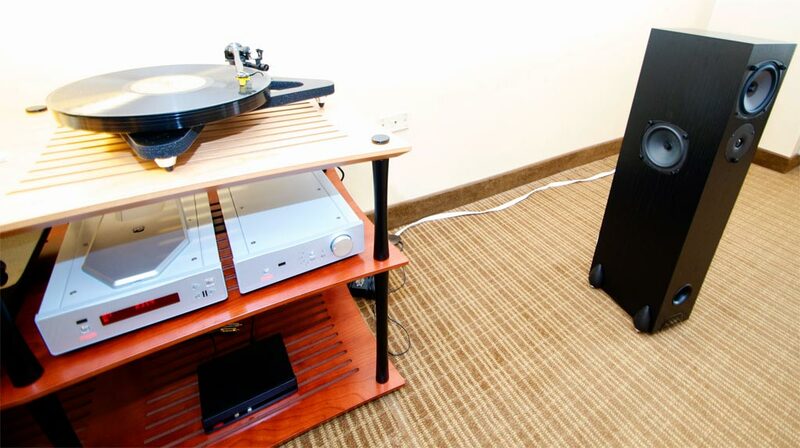 The room’s host commented that a lot of folks forget that Rega also makes speakers. Which is too bad, because at $1,300 the RS3 sounded very good. With their side firing woofers the stage extension was a bit shorter than one might be used to, but they were clear, had a good upper mid-range without being sluggish. And hey, that new RP8. That is a great looking table, isn’t it? Re Unison Research Simply Italy amp. Aren’t ultralinear and SET mutually exclusive designs?